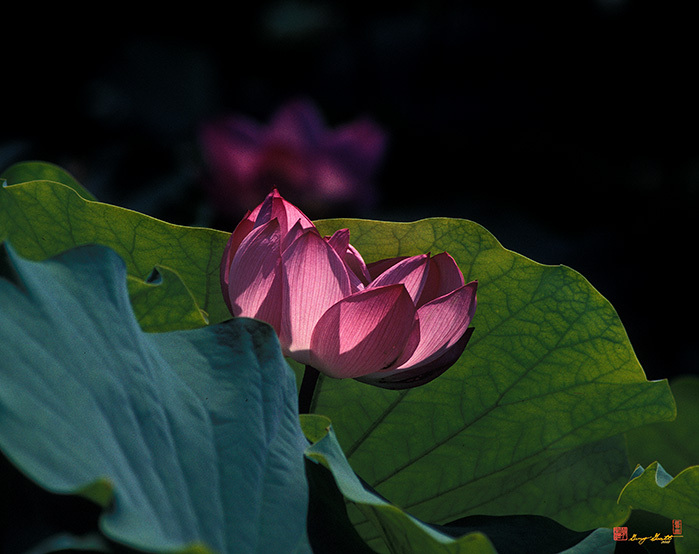 2001 Photographic Study, "Lotus--Echoes of Light", Kenilworth Aquatic Gardens, Washington, D. C. © 2014. Normally, one would use the word "reflections" for this title. However, I chose "Echoes" because like a sonic echo, the background flower is much fainter and a little different from the "original". "Equal Merit Award", United States Geological Survey Annual Judged Photography Exhibition, 2002.